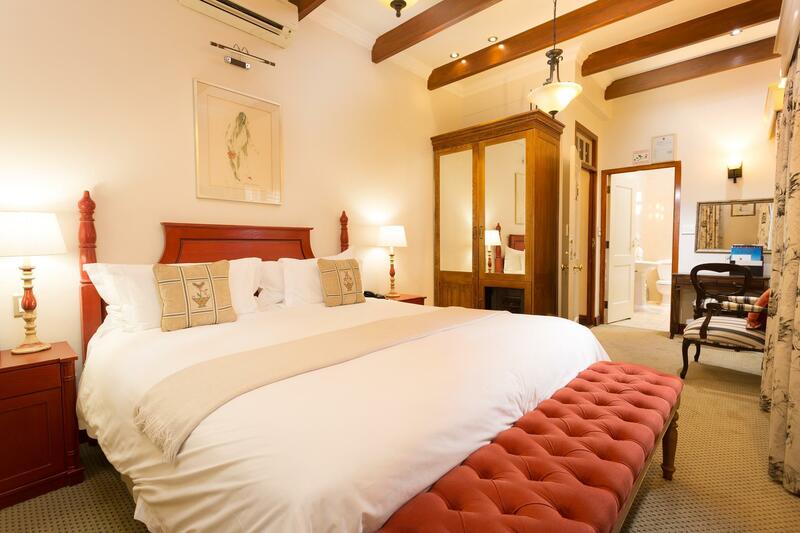 ﻿ Coopmanhuijs Boutique Hotel and Spa Stellenbosch. JIMAT di Agoda.com! Ada soalan mengenai Coopmanhuijs Boutique Hotel and Spa? Sama ada anda melancong atau ke luar kawasan kerana kerja, Coopmanhuijs Boutique Hotel and Spa merupakan pilihan penginapan hebat ketika melawat Stellenbosch. Hanya 0.5 Km dari pusat bandar, lokasi strategik hotel memastikan tetamu boleh ke mana-mana sahaja dengan cepat dan mudah ke tempat-tempat tarikan. Dengan tarikan utama di bandar ini seperti Karoo Classics, The Cameo Arts & Crafts, Bebe's Chocolaterie and Coffee Shop berada pada jarak yang dekat, pengunjung hotel pasti akan menyukai lokasinya. 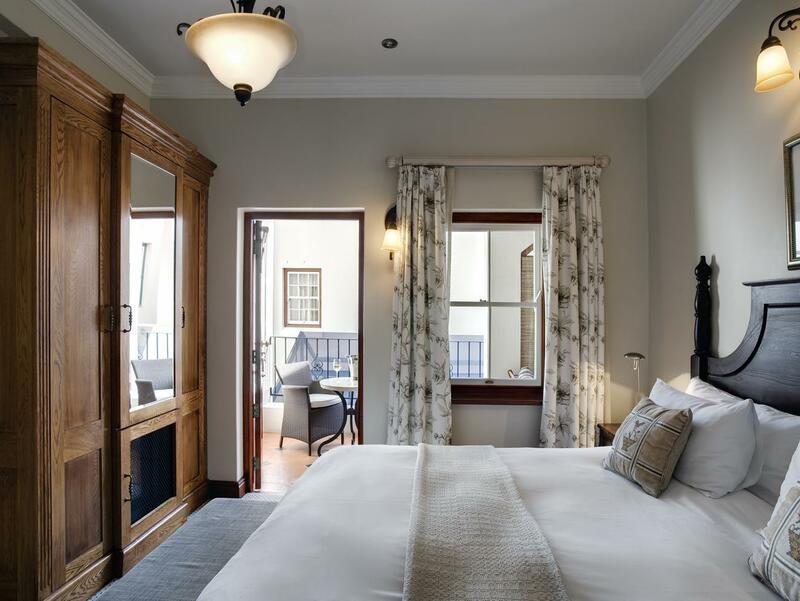 Coopmanhuijs Boutique Hotel and Spa juga menawarkan banyak kemudahan untuk memperkayakan penginapan anda di Stellenbosch. Kemudahan utama hotel termasuklah Wi-Fi percuma semua bilik, meja depan 24 jam, simpanan bagasi, Wi-Fi di tempat awam, letak kereta berjoki. Semua bilik tetamu menawarkan pelbagai jenis tahap keselesaan. Banyak bilik turut menyediakan televisyen skrin rata, linen, cermin, tuala, almari untuk memuaskan hati tetamu. Hotel ini menawarkan kemudahan hebat, termasuk sauna, kolam renang terbuka, spa, rumah urut, untuk membantu anda berehat selepas hari yang penuh aksi di bandar. Temui gabungan yang menarik antara perkhidmatan profesional dan pelbagai kemudahan yang ada di Coopmanhuijs Boutique Hotel and Spa. 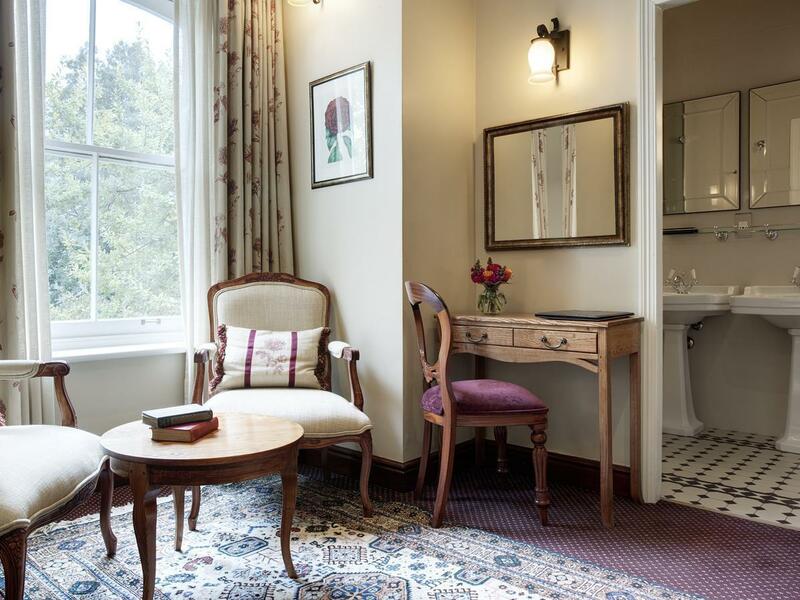 Exceptional service in a small Stellenbosch boutique hotel. 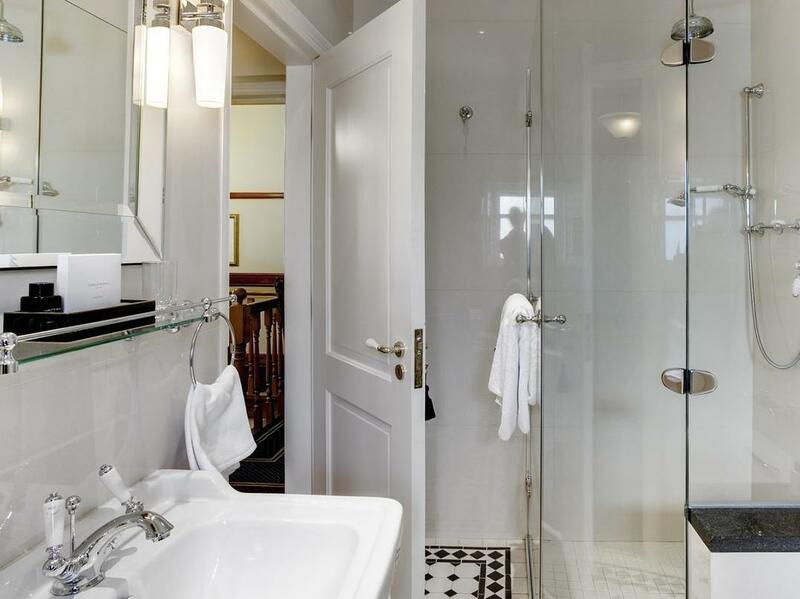 Small comfortable room with large bathroom. Aircon and underfloor heating for winter (unusual in ZA). Very good breakfast. Location is quite good - in town, within minutes walk to many good restaurants, shops, etc. Limited parking on street, but there is free valet parking in a basement parking nearby. Rates are reasonable for the quality. Definitely worth a stay. Had a very nice stay for 2 nights. Great location in center of town. Rooms somewhat small, which is my only complaint. Staff extremely helpful. They couldn’t be nicer. We just had a short one night stay here the night after our wedding. It was delightful. Every staff member who attended us was wonderful. It is centrally located, and we greatly enjoyed taking a stroll through the streets nearby. We had dinner at their restaurant, Helena's, which was lovely and has a great wine list. Highly recommend. We stayed for one night whilst celebrating my wife’s birthday. The staff at Coopmanhuijs were all absolutely amazing. As soon as we drove up our bags were taken into the hotel for us and our car valet parked. We were given the warmest possible welcome by lovely staff who genuinely enjoy working there. We were then shown to the best room in the hotel. Waiting for us was a bottle of champagne on ice, strawberries, biscuits, chocolates and a birthday gift for my wife. Breakfast by the pool was really lovely. The pool is small but a lovely place to relax, with the comfiest sun beds ever. We weren’t getting our flight home until very late so the hotel arranged a day room for us at the Stellenbosch Hotel around the corner for a fantastic rate and even carried our bags around for us. We will definitely be back and will stay longer next time. Our entire stay was outstanding and far above & beyond what we could have hoped for. The staff were incredibly friendly throughout and the dinner at Helena's restaurant was superb. I couldn't recommend it enough! Room was lovely as was the breakfast. Could not wish for a nicer hotel. Situation was perfect. Staff were lovely. Gorgeous hotel with beautiful rooms and wonderful staff. Sadly we only had one night's stay and quickly decided to eat in the hotel for dinner so we could experience the luxurious surroundings. Staff were exceptionally warm, friendly and accommodating. 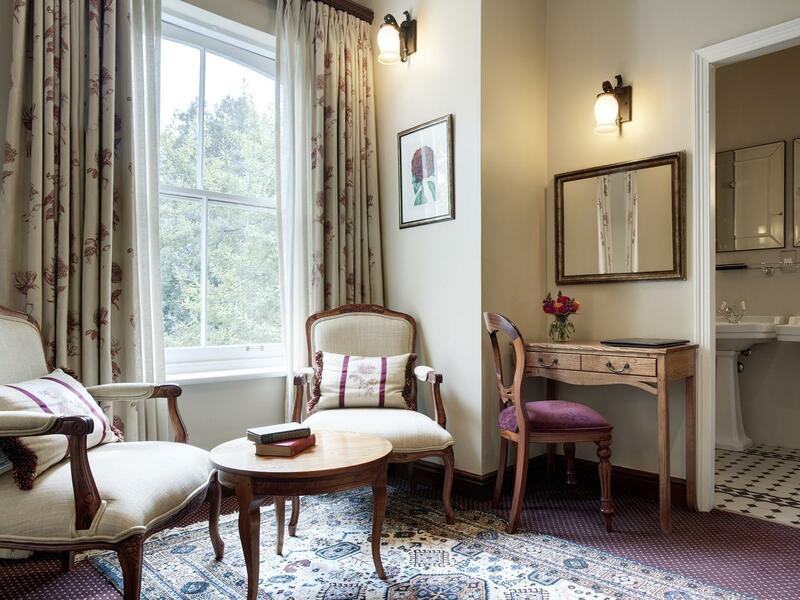 Each downstairs room is decorated in an individual style with welcoming log fires. 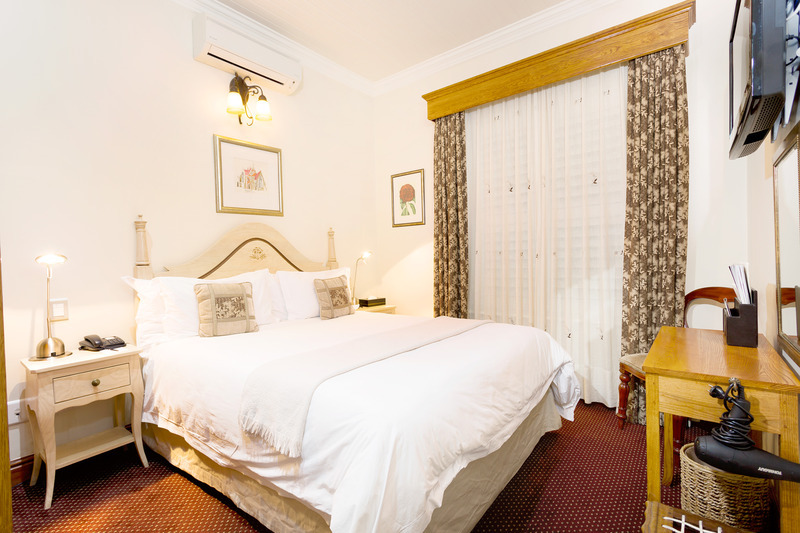 The bedrooms are well- equipped (including proper, professional-standard hairdryer) and the beds very comfortable. It is not cheap to stay here but for a special treat it would be hard to better. Staff could not have been more accommodating and efficient. Tremedous character in the hotel. Meals were excellent. One of the great boutique hotels anywhere. Great service. Great location. Very good restaurant. Fantastic hotel and location. The staff were brilliant and the restaurant exceptional. We loved our time here. The hotel is right in the centre of town and close to many other restaurants, cafes and bars. The hotel was great and probably has one of the best breakfasts we have come across. Staff were friendly and helpful. We also ate at their Helena Restaurant on the verandah overlooking the street and love that also. Highly recommended. Perfect place to explore this University town full of life. We had a wonderful stay with friendly staff and great breakfast. Wonderful hotel. My room was situated close to the kitchen and dining facilities so was a little too noisy at times. 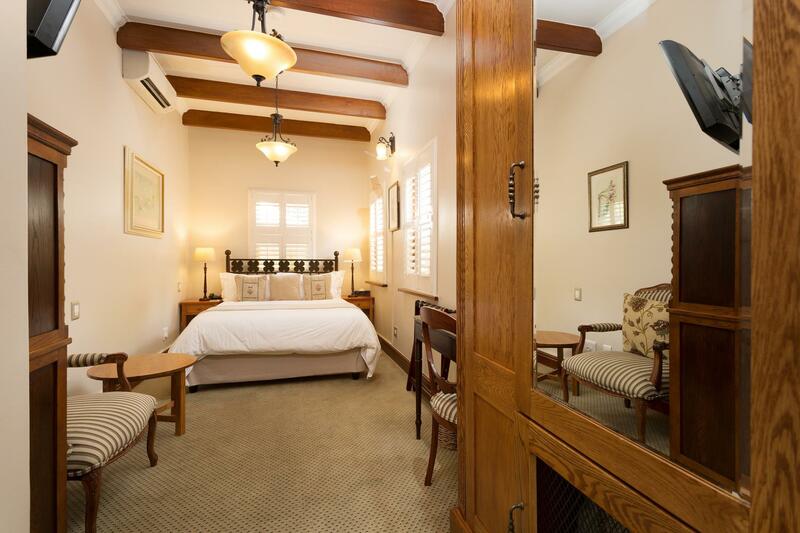 Wonderful location in the middle of picturesque Stellenbosch. Excellent rooms, terrific breakfast, staff helpful and everything spotlessly clea. We came late, and still it was possible to the nicest dinner in the restaurant. The service, the food, the vine was TOP!! A very good hotel in a good location.